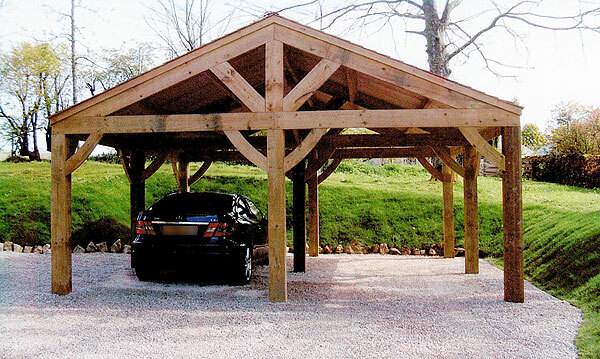 Our customers wanted a Car Port but were unsure of the style. We worked alongside the client on the design and after providing several sketches, decided on a traditional style with trussed roof formation. 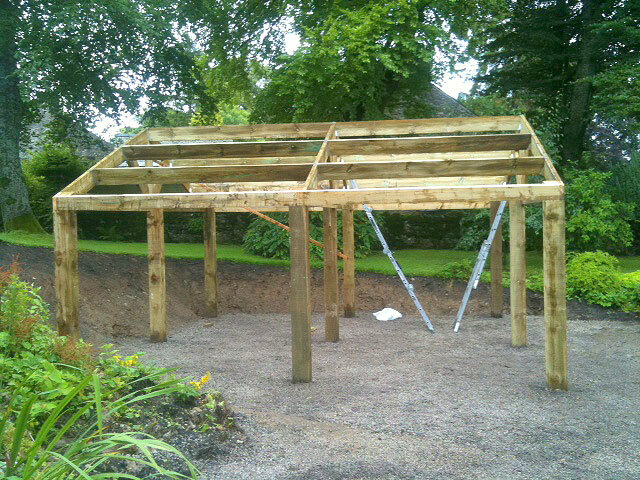 The site for the Car Port is exposed and therefore a structure that would hold up to our Cumbrian weather was needed. 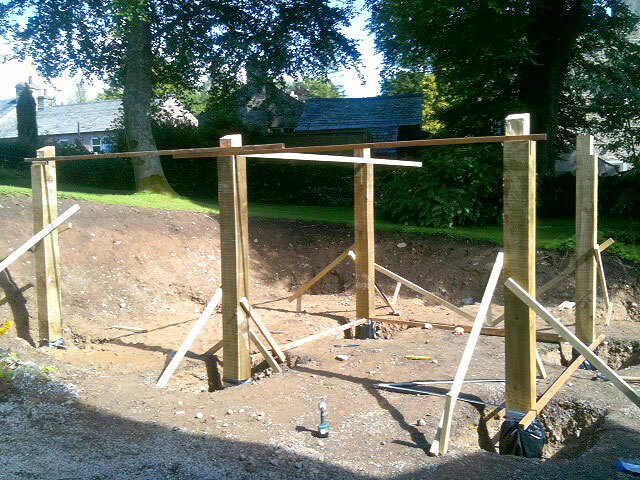 The holes were dug and the 8” x 8” tantalised uprights were stood in place and levelled, ready to be concreted into the ground. Starting to take shape, the concrete was left to set. 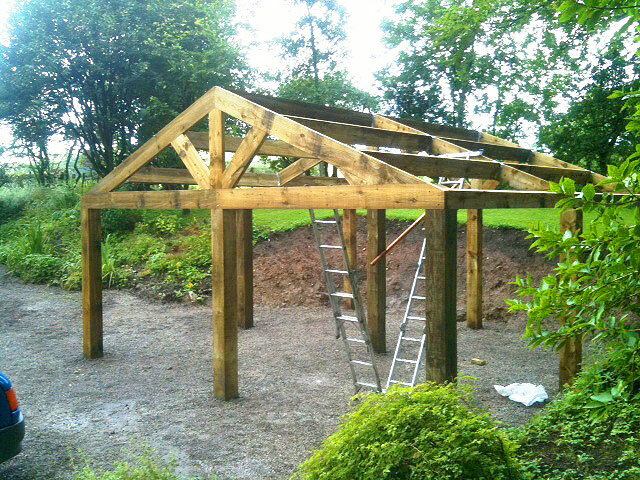 The roof trusses were placed onto the half lapped posts. Coach bolts were used to hold the sturdy timbers together. In Cumbria we are experienced in making buildings which will stand up to exposed positions and this car port was no exception. 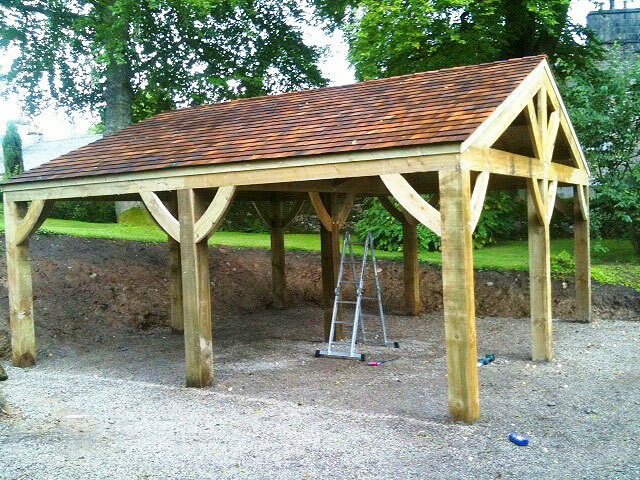 This shows the full view of the open front trusses, which is what the customer wanted to see as they drove up to the car port. Tongue and grooved boards were fixed onto the roof before we could lath and then cover with Cedar Shingles. The braces were pegged in using traditional methods. The braces help support the structure as well as being aesthetically pleasing and giving an authentic look. The landscaping is complete and car in situ. The wood is starting to weather nicely and blend in with the rural surroundings. This project shows how we can work together with our clients from the design stage right through to manufacture and erection of individual, bespoke buildings. We have two very happy customers.